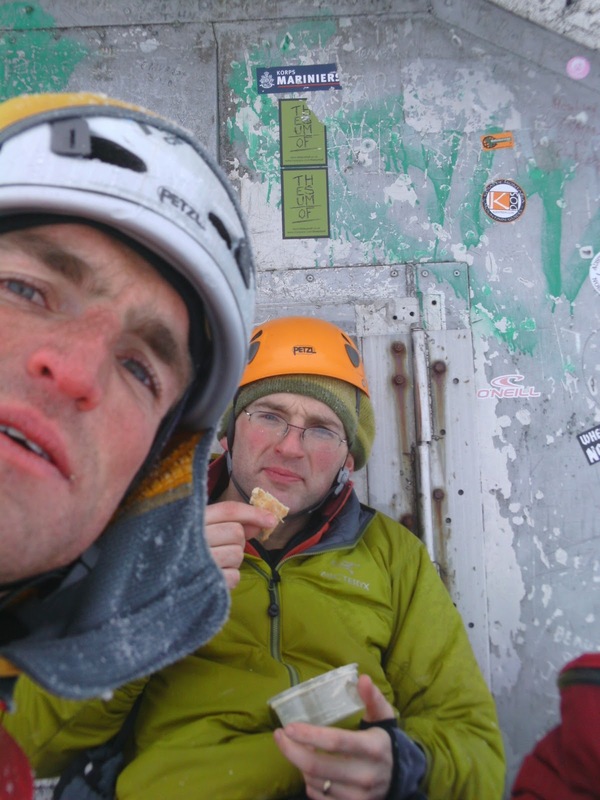 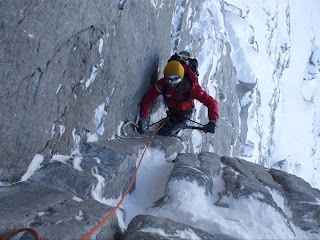 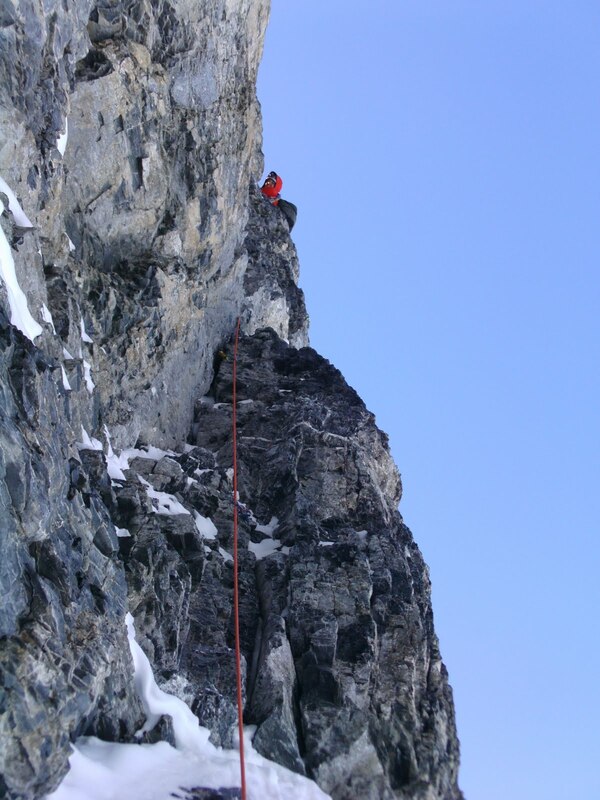 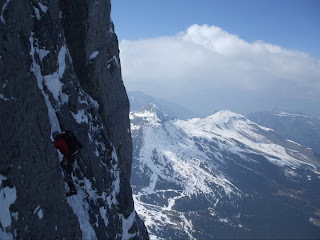 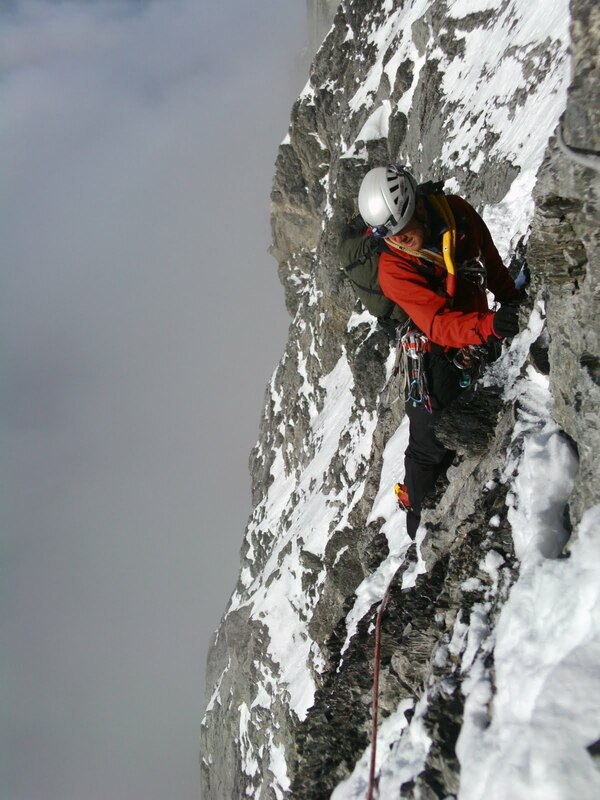 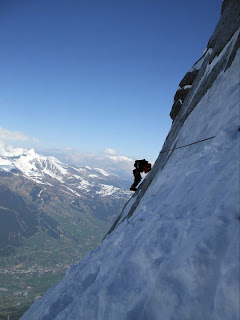 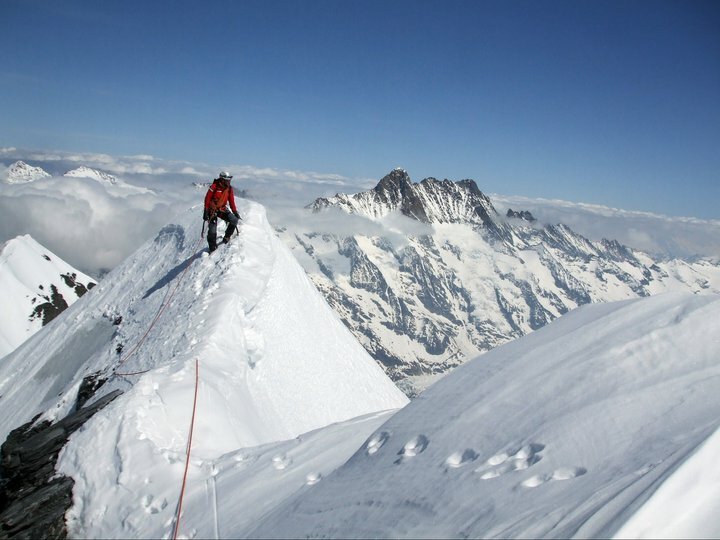 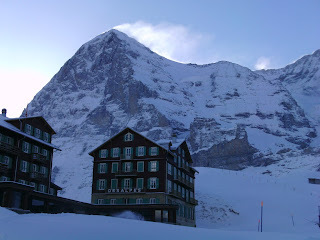 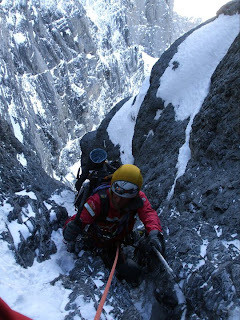 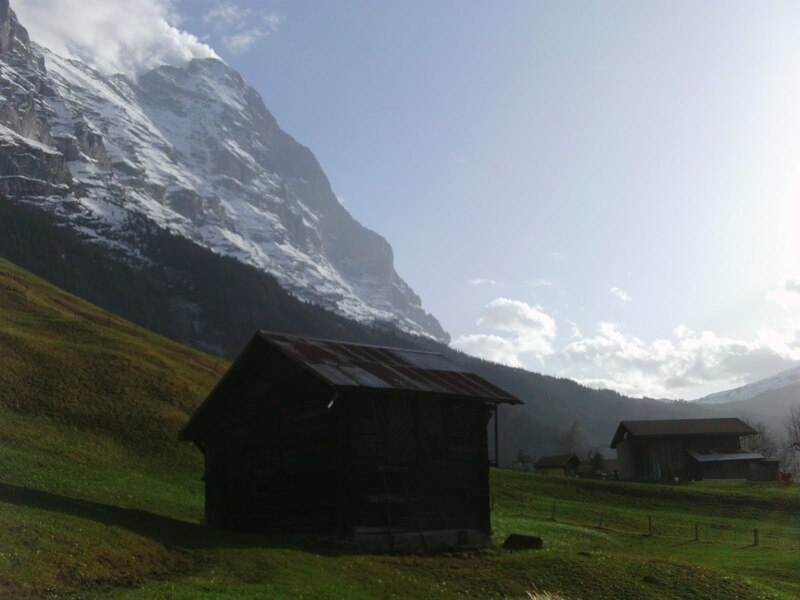 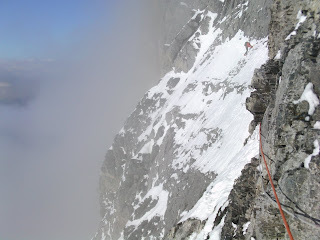 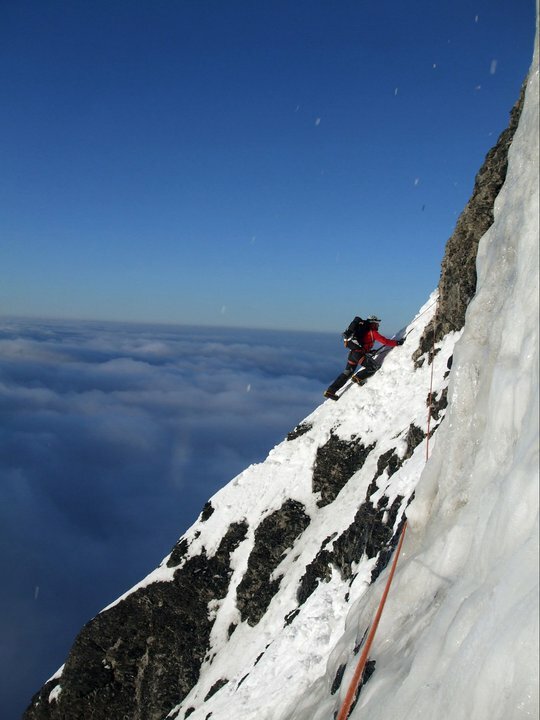 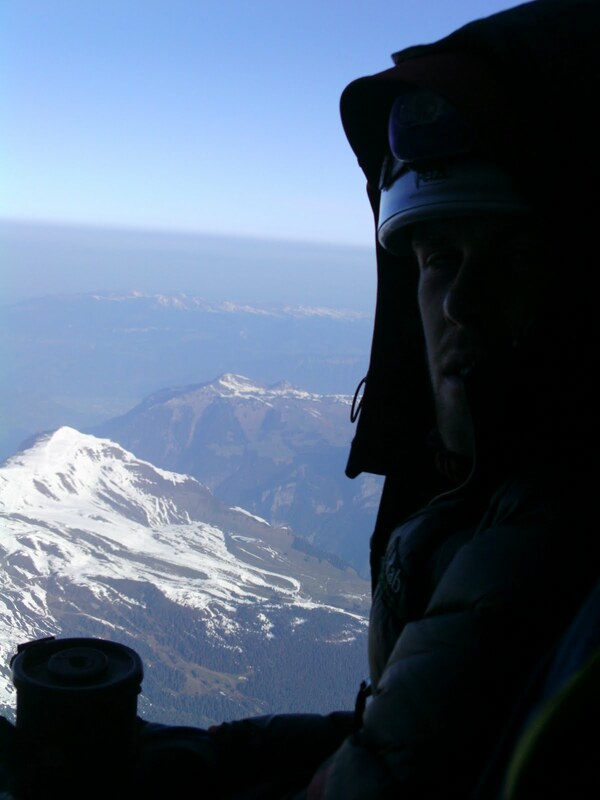 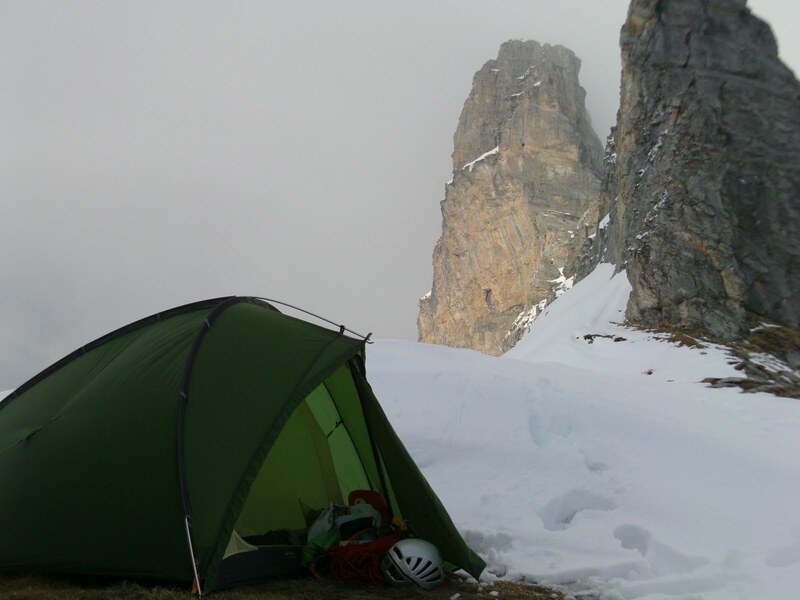 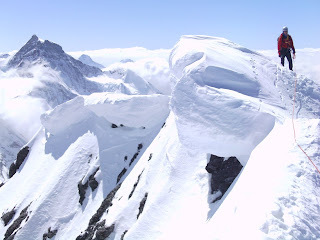 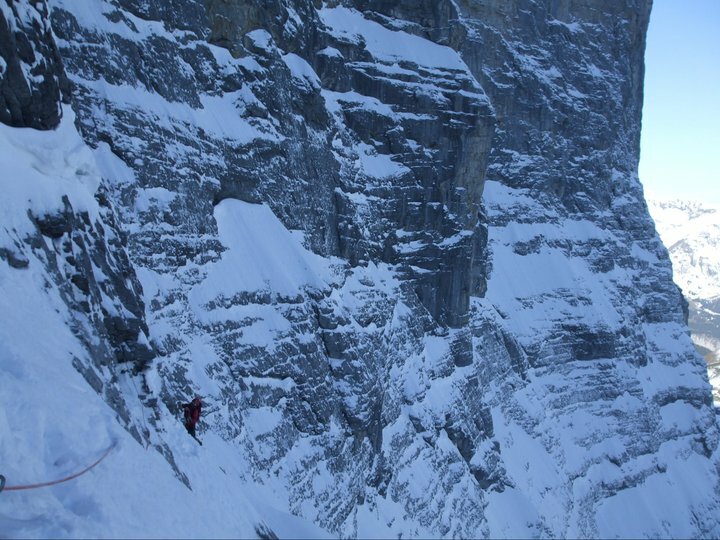 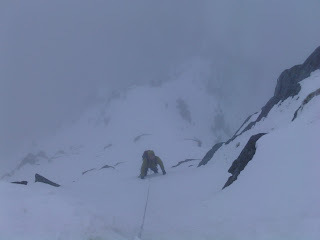 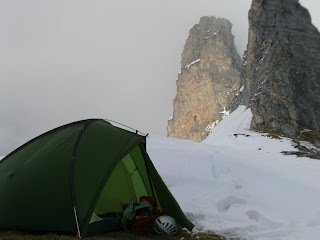 Mike Thomas and Paddy Cave have just returned from a visit to the Eiger ‘Nordwand’. After a long spell of good weather and conditions on the face, though perhaps a little warm, their arrival coincided with the first snow fall in weeks. 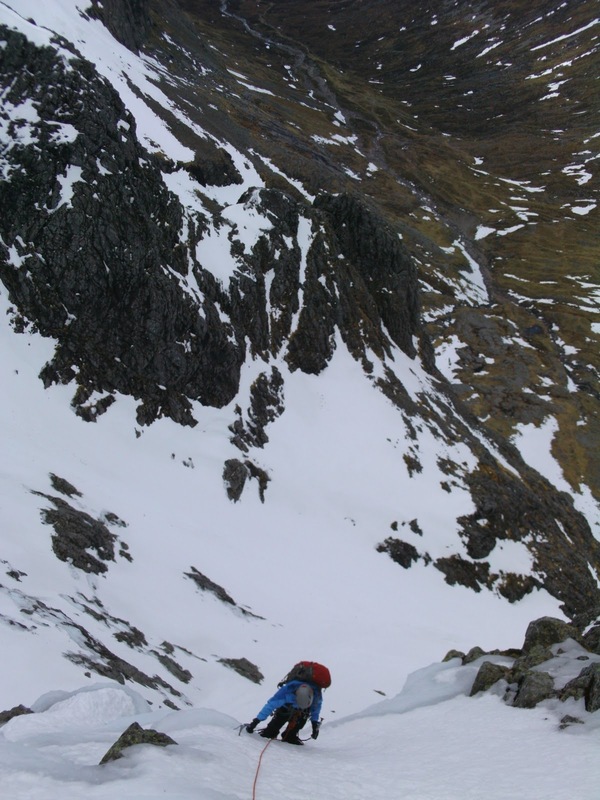 So after a few days of waiting for the snow to settle and the impressive spindrift avalanches coming down the face to ease, they started breaking trail up the face and made a successful ascent. Stable weather and colder nights gave perfect conditions. Both agree the face deserves the super classic status it gets, and ED2 in 1938 deserves respect! 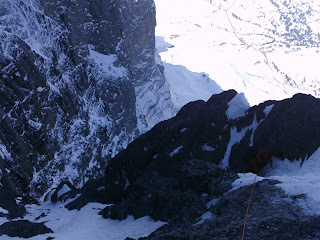 Some photos below of the ascent. 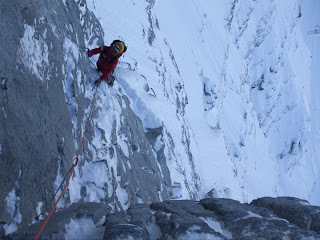 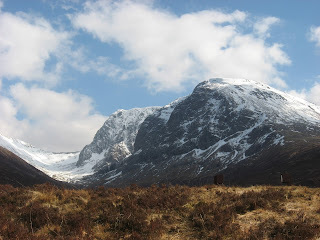 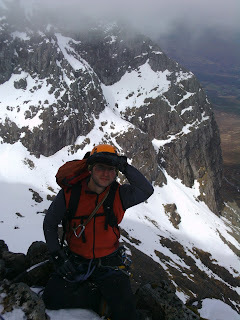 ﻿The Traverse of the Gods – Mike weighs up the fall, hmm..
﻿Paddy coming onto the Summit. 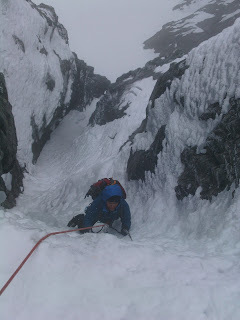 Theres still time to book Winter Courses at one of the best venues in the UK! 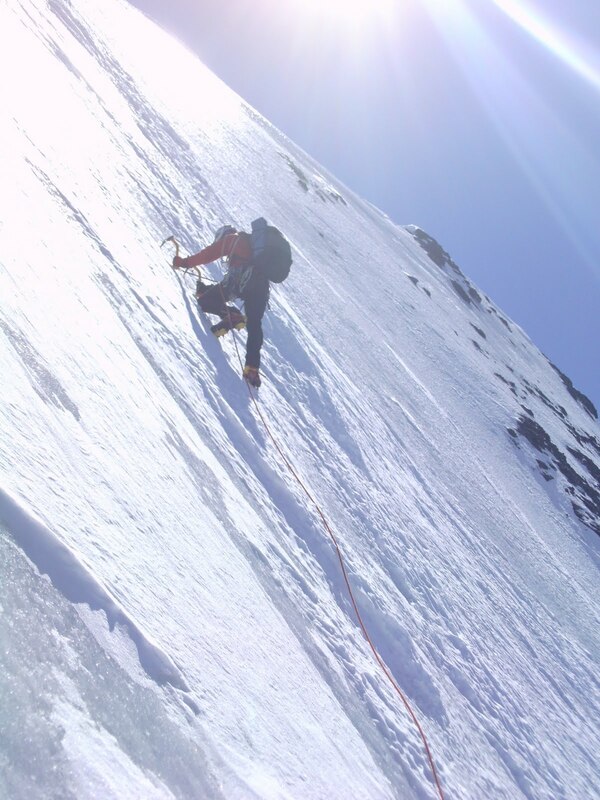 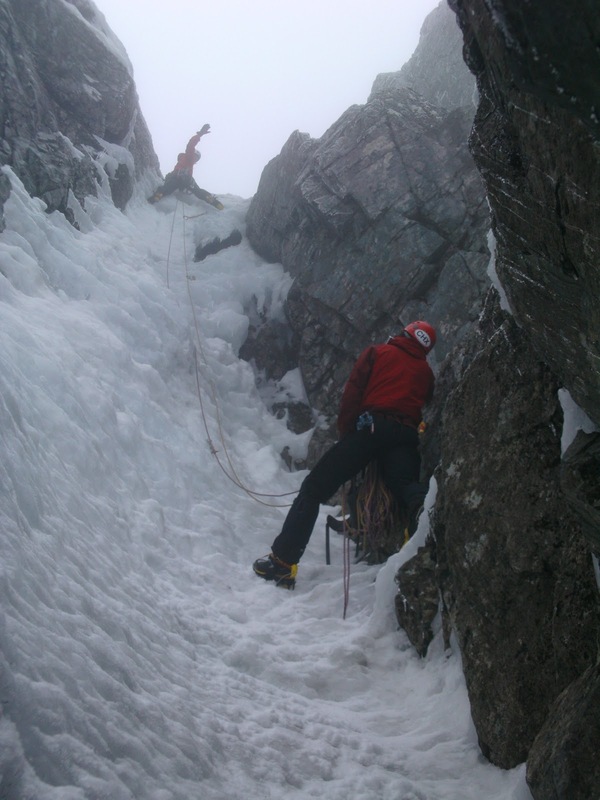 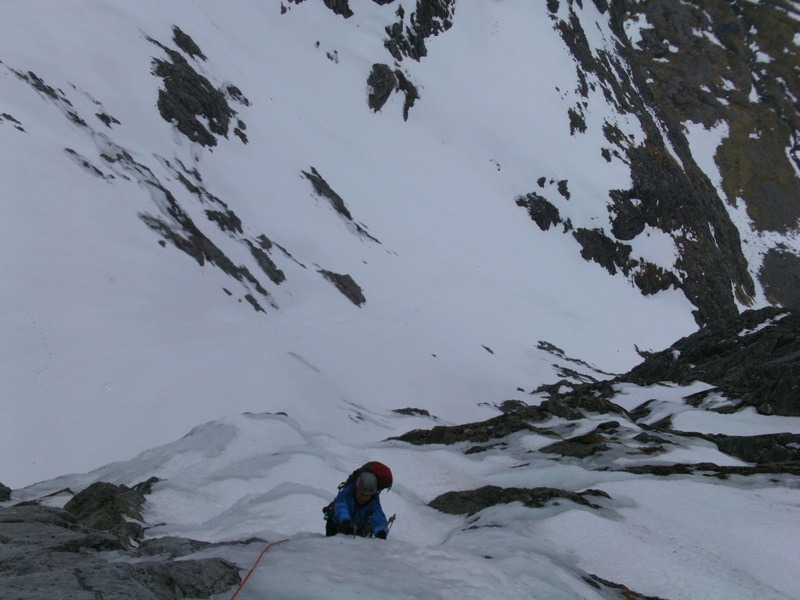 There is still plenty of ice and winter mountaineering potential on the Ben, why not get out and enjoy the long daylight hours and great late season conditions? call/email to enquire. Some great ice still on Nevis! Photos of Tower Ridge, Point 5 and Hadrians Wall over the last few days.